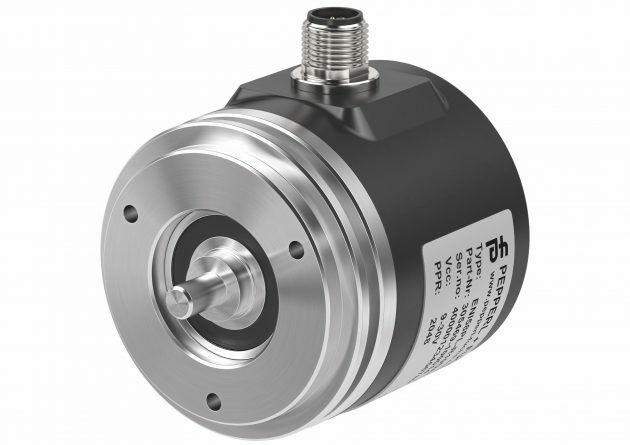 The newly released ENI58PL series incremental rotary encoder from Pepperl+Fuchs offers incredible efficiency for a wide range of applications. IO-Link enables custom configuration, making it possible to commission machinery and equipment even faster. ENI58PL boasts flexible configuration options and a wide range of use cases-from classic industrial applications, such as precise positioning in the automotive industry and applications in wind power plants, to special engineering. Pulse count per rotation that can reach from 1 to 16,384 pulses per rotation according to the desired resolution. Reliable signal transmission even in demanding conditions.